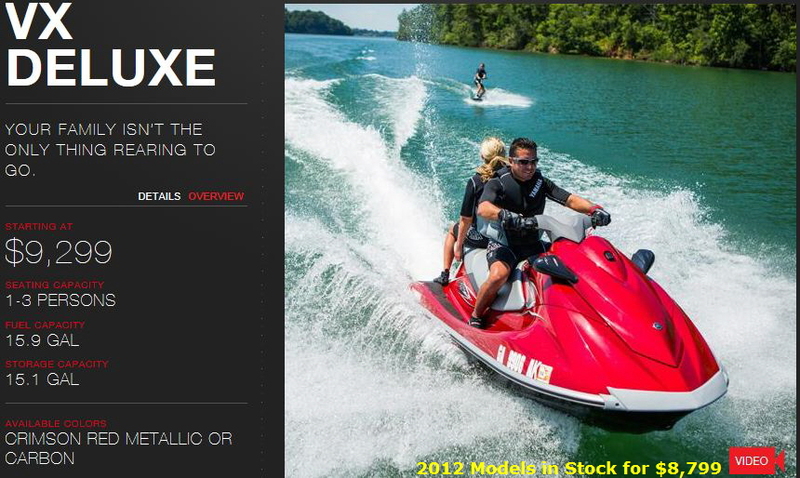 The VX Deluxe is powered by a Yamaha MR-1 four-stroke engine. This is a compact, ultra-lightweight, four-cylinder, 1052cc, DOHC, 20-valve, liquid-cooled engine for class-leading performance. Electronic Fuel Injection (EFI): Delivers a smooth, high power output with low fuel consumption and low exhaust emissions. Specially Designed, One-piece Cylinder and Crankcase Assembly: Provides tremendous engine rigidity that's lighter and stiffer than two-piece designs. Slant Detection Switch: Electronic switch stops engine and oil pumps immediately if watercraft becomes overturned, protecting motor from water ingestion. Dry Sump Lubrication: Uses two engine oil pumps to deliver lubricating oil to each moving part with water-jacketed sump and oil backflow protection. Thermostatic and Pressure Controlled Cooling System: Water flow through the engine is controlled by a thermostat and pressure system and is maintained by a pressure control valve. Corrosion Protection System: Sacrificial zinc anodes protect the engine from harmful galvanic corrosion. Stainless steel fasteners (nuts, bolts, hardware) provide a long service life. Electronically Controlled, Variable Ignition Timing: For exact ignition advance control at all throttle positions and RPMs. The Jet Pump Propulsion System - The VX pump design is one of the most efficient pump configuration ever, increasing stream velocity and thrust while decreasing cavitation and prop spin. The Jet Pump Propulsion System - Reverse: Allows the watercraft to be backed up off a trailer or out of tight spots where you cannot turn around easily. The Jet Pump Propulsion System - Stainless Steel Impeller Housing Liner: For high durability, the liner maintains accurate clearance tolerances between the impeller and the housing. The Jet Pump Propulsion System - High Flow Intake Duct and Grate: The dynamic shape of these items directs water flow into the pump for better thrust, performance and hook up. The Jet Pump Propulsion System - Cooling Water Intake Filter: Filters out harmful debris that could cause blockage of important cooling water passages. The Jet Pump Propulsion System - Pumps are Manufactured with YDC30: A combination of zinc and copper alloys, developed by Yamaha marine engineers, that offers excellent corrosion protection. The Ultra-Lightweight, High Strength Hull and Deck - The VX Deluxe hull is designed to be light and strong. The Ultra-Lightweight, High Strength Hull and Deck - Progressive, Stepper Draft V-Hull with Integrated Bow Spray Guard: Provides excellent maneuverability, handling and comfort. The Ultra-Lightweight, High Strength Hull and Deck - Performance Sponson Design: Provides added straight-line comfort and an improved two-up and three-up riding experience. Multi-function Electronic Information Center: Provides the operator a quick read on speed, RPM, fuel level, low fuel warning, low oil pressure warning, overheat warning, hour meter, check engine light with self diagnostic function. Industry's First Remote Controlled Transmitter: With the touch of a button on Yamaha's innovative remote-controlled transmitter, you can activate and deactivate the VX digital security system and Low RPM Mode from up to 30 feet away. 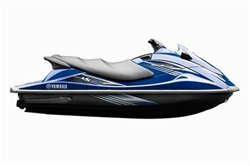 Low RPM Mode: The personal watercraft industry’s first fuel saving feature, Low RPM can reduce fuel consumption by up to 26% based on average annual use. 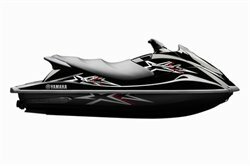 Yamaha Security System: This security system that can be activated with the touch of a button ensures that no one starts the VX Deluxe without your permission. Dual Concave Mirrors: Automotive style and convenience. 19 Gallons of Total Storage: Includes a large bow storage locker and glove box. Comfortable One-piece Seat: Ergonomically-designed and contoured for added support. The extra-long seat is easily removed for quick access to the engine compartment. Extra Large Boarding Platform: Provides a stable platform for reboarding. Glove Box with Self-draining Beverage Holders: The industry's first self-draining insulated beverage holders. Finger Throttle Lever: Provides added comfort while reducing hand fatigue. Yamaha's Trademarked Visibility Spout: A waterspout from the rear of the craft that improves the watercraft's conspicuity.